No Account Yet? Join For Free! News of BECKMAN COULTER, INC.
Beckman Coulter Life Sciences (Indianápolis, IN, EUA) se asoció con Apostle Inc. (Menlo Park, CA, EUA) para el lanzamiento del kit de aislamiento de ADN libre de células de alta eficiencia, MiniMax de Apostle, un kit magnético basado en nanopartículas para extraer ADN libre circulante (cfADN) del plasma mediante flujos de trabajo manuales o automáticos. Beckman Coulter Life Sciences has entered into a partnership with Apostle Inc. for the launch of Apostle MiniMax High Efficiency Cell-Free DNA Isolation Kit, a magnetic nanoparticle-based kit to extract circulating free DNA (cfDNA) from plasma using manual or automated workflows. Beckman Coulter (Brea, CA, EUA) ha lanzado el Sistema ClearLLab 10C para los laboratorios de citometría de flujo que incluye los primeros 10 paneles CE-IVD a color de reactivos de inmunotipificación tanto para el linaje linfoide como mieloide. Los cuatro paneles ClearLLab 10C fueron diseñados específicamente para ser procesados en los citómetros de flujo, Navios y Navios EX de Beckman Coulter, con el nuevo software avanzado de configuración de compensación, Navios. Beckman Coulter has launched the ClearLLab 10C System for clinical flow cytometry labs that includes the first 10-color CE-IVD panels of immunophenotyping reagents for both lymphoid and myeloid lineages. Beckman Coulter develops, manufactures and markets laboratory systems, reagents, centrifugation, lab automation, electrochemistry, immunoassay, hematology and spectrophotometry products among others. The company’s biomedical laboratory instruments and diagnostic solutions, as well as automated and integrated data management systems, are suitable for diagnosing diseases, making treatment decisions and monitoring patients in hospitals and other critical care settings. 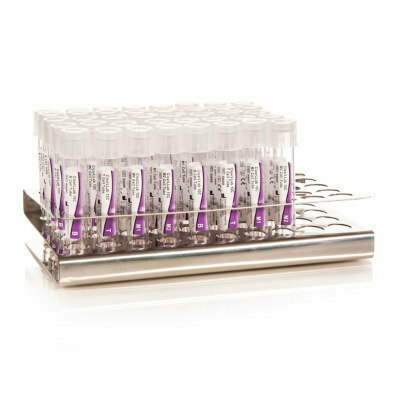 The ClearLLab 10C System for clinical flow cytometry labs covers lymphoid and myeloid lineages, without the need for extensive validation and hard to find clinically relevant samples, while offering a streamlined workflow. It includes the first 10-color CE-IVD panels of immunophenotyping reagents for both lymphoid and myeloid lineages and comes with Kaluza C analysis software for data analysis and reporting. Password Wrong Password. If you have forgot password please click here.